A wonderful stay in a comfortable bungalow tent. 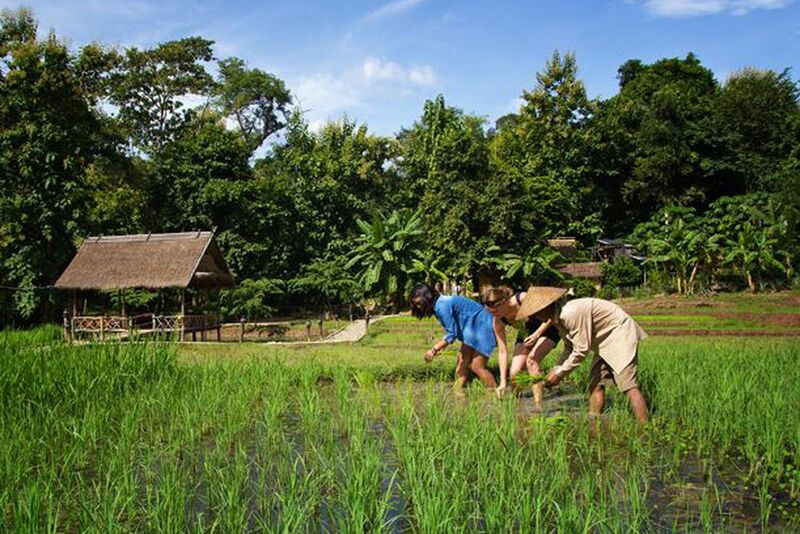 Experience first-hand sustainability with unique engagement in the rice field. 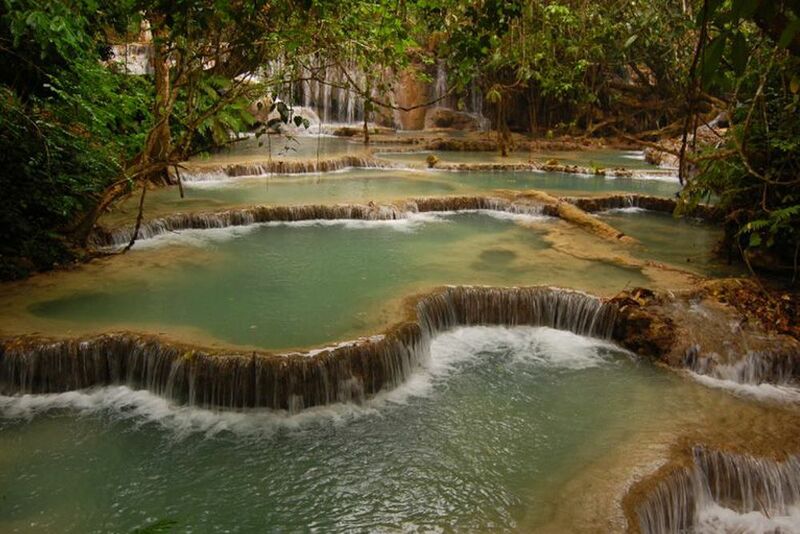 The Tad Kuang Si-waterfalls are a popular excursion destination. 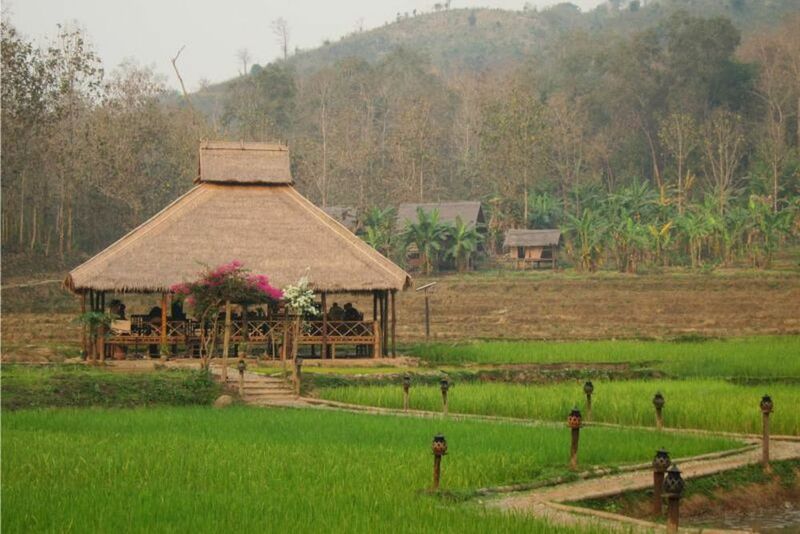 Nestled in the banks of the Mekong River is an authentic eco-lodge engaged with low-impact travel. Kamu seeks that perfect balance between tourism and maintenance of the region’s cultural and ethnic heritage! In the heart of the Lao jungle, on the banks of the Mekong, Kamu Lodge strikes a delicate balance between tourism and the maintenance of the region’s cultural and ethnic heritage. Settled in a remote valley of paddy fields, between small villages and forested mountains, the lodge is surrounded by rich tropical vegetation and rare wildlife. It is the perfect place for people looking to escape civilization and discover an oasis of peace. Feel at home the moment you step on the lands of Kamu Lodge! 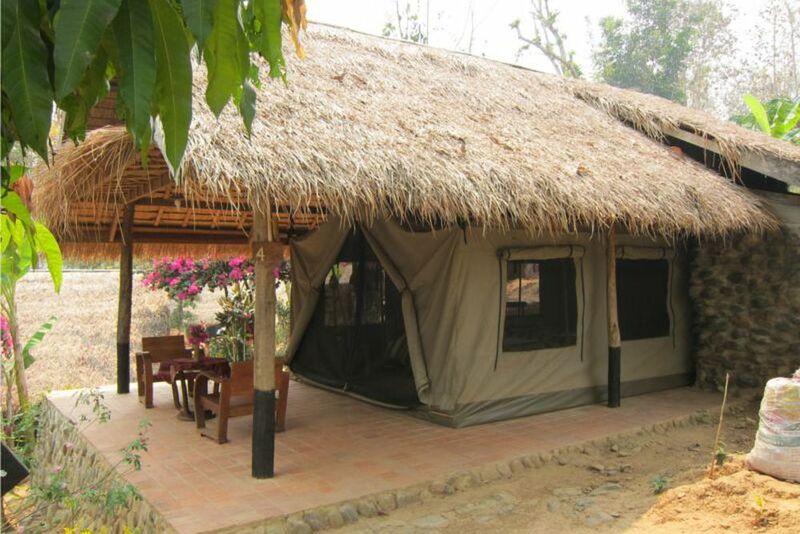 In comfortable, mosquito-free tents, you will stay and enjoy the personal attention from all the staff. The Kamu Lodge is more than an eco-lodge - it is a lifestyle based on the notion that only direct contact with nature leads to solving stress and resurrecting spirits. All meals at Kamu Lodge are made from fresh, local produce and served in the open air (when the weather permits). After a strenuous day, the bar offers refreshing cocktails and ice cold beers to finish the evening. The 20 freestanding lodges are hybrids - the thick walled tents shut out the elements while a sturdy thatch roof guards against rain and sun. In the spirit of sustainable lodging, solar panels fixed to the roofs gather just enough energy to keep the fan turning all night and the interior lit. Each lodge features a whitewashed stone annex with a traditional bathtub and shower. From your private balcony, enjoy the magnificent views over the Mekong River.